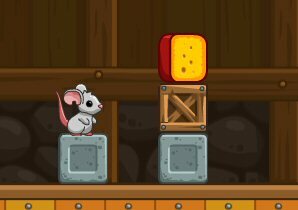 Description: Cheese Barn game Feed a small hungry mouse with cheese! Help it to solve logic tasks and make its way to the tasty prize. Be smart and attentive: each level is more difficult than another, and every time it takes more wits and cunning to get further.